Limited competition in the first-time market and a mistaken belief that going direct to an insurer is the best value, is costing young drivers thousands on an annual basis, and may be precluding some from even getting on the road. 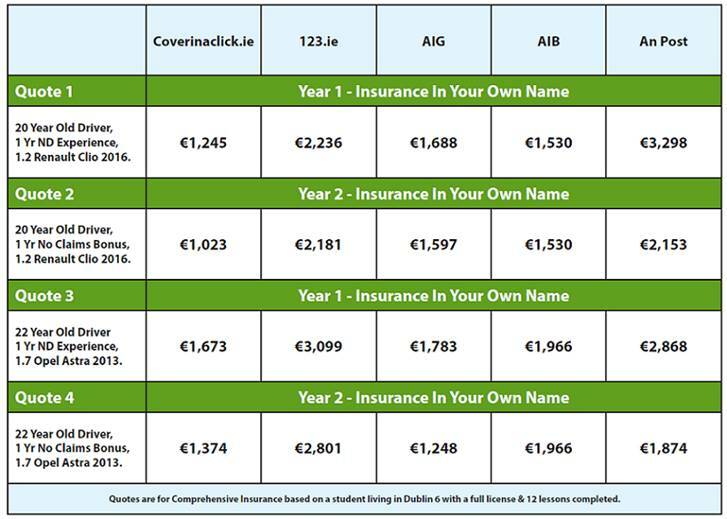 Such is the contention of experts at Coverinaclick.ie who say that Longford’s young drivers are vulnerable when it comes to motor insurance, and that a lack of knowledge, experience and a limited budget are all combining to make insurance a very expensive business for them. The car insurance experts have highlighted the huge variations in the quotes given by direct insurers, or brands with limited insurers, and those accessed by a broker for young drivers. In 3 out of the 4 sample cases the broker was able to offer the cheapest premium, while the difference in quotes surpassed the €2000 mark in one instance. “There are currently 4,123 drivers in Longford below the age of 25 with either a learner or provisional licence – there’s no doubt that some of these motorists are paying over the odds for their insurance by going direct to an insurer. “Young drivers are in an unenviable position in that they are usually quoted the highest premiums but generally have much less disposable income than their older motoring peers. What’s more, in order to get these premiums down they need experience on the road – for which they need insurance. It’s an age-old catch 22! The insurance experts say that while shopping around is paramount, there are several other steps young drivers should take to pro-actively reduce their motor insurance premiums.